Edward L. Darling, 91, went to be with the Lord on Friday, November 16, 2018. He was predeceased by his wife of 60 years, Margaret and by his son, Daniel. He is survived by his son and daughter-in-law, Eric and Maureen Darling; daughter, Marlayne Jackson; daughter, Pamela Darling; son and daughter-in-law, Andrew and Paula Darling; daughter-in-law. Kathleen Darling; 22 grandchildren and eight great-grandchildren. 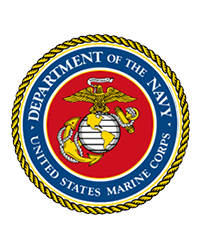 Edward served as a PFC in the United States Marine Corps in World War II. Edward worked as the Town of Chenango Engineer and was a NY State Professional Engineer and Land Surveyor for 47 years. He had many assistants during those years, including all his children, but his favorite was his wife Margi. Arrangements were by Root Funeral Home, 23 North Chenango Street, Greene, New York. Condolences may be sent to the family at www.rootfh.com.